BETHLEHEM, Pa. – The Mountain Hawks were off from competition during the Thanksgiving holiday and return to action to face two longtime rivals this weekend. First, No. 8 Lehigh will host EIWA rival Princeton in its home dual opener; then on Sunday, the Mountain Hawks will visit No. 1-ranked and three-time defending national champion Penn State for the 107th meeting in the series. 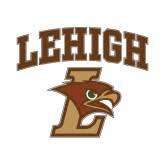 Lehigh dropped its weather-delayed dual opener at No. 5 Michigan 21-13 on Nov. 18, a dual in which the Mountain Hawks had a chance to win going into the final bout. Sophomores Jake Jakobsen (197) and Jordan Wood (285) picked up wins to improve to 4-0 on the season, while freshman Jimmy Hoffman won by injury default in his dual debut at 149. Big match tonight to get a nice win over a solid opponent. Princeton has some quality wrestlers including #1 Kolodznik (sp?) at 149. Hopefully we get a couple pre-season starters back i.e. Parker and Karam. Supposedly ticket sales have been very good.. Grace Hall filled and noisy is a great place to be. Lehigh couldn't beat Moravian right now. Entire team is injured...so what's new right? Backups are really weak. They have no business wrestling PSU or Iowa and could possibly lose all 10 to both. We don't schedule based on who's healthy. Even in October before all the injuries became known, beating a number of these schools was unlikely. It is the experience in getting ready for March that counts. Hopefully, Farro can get his weight down. He was slotted at 133 but has tired to cut with Schram out. Not an easy task when one is already down. Karam and Preisch appear to be 'match to match' and the coaches are not going to change the aggravation of an injury that risks the rest of the season. Walter looked hurt as well, but Humphreys, for his first varsity match in Grace, did a nice job as a true freshman. He did not panic in some precarious situations, and held on to win. Cornell a couple years ago had a very mediocre dual meet record due to injuries, but come March did well. The same can happen. 44-0 skunking against PSU. All points scored were escapes. No clue how the entire team could be hurt? Cael Sanderson's comments afterwards were highly critical of Lehigh's effort. Basically felt it was a waste of their time. The sport of wrestling is the toughest and some years the twists and turns cause more serious problems than others. I guess some teams would have forfeited, but getting that kind of experience shows a kid how far they have to grow. A couple kids showed some moxie, but overall I was disappointed with our lack of aggressiveness. It appeared most were tentative. I credit Humphreys with going out there taking action to Nolf. He got pinned, but primarily because he was on offense and trying to score, which opens you up to what happened with such a superior wrestler. Wrestling with what was expected of our lineup was going to be tough enough, but at this point it's just a matter of having kids test themselves against the best. Hopefully, we get some starters back by the time they go to Ft. Lauderdale. Delusional gets you injured. Lehigh's "1st string" is not that great and certainly their schedule is ridiculous. They should be wrestling smaller schools where they have a reasonable chance of winning. "If you want to be a bull fighter, you have to fight some bulls." --Thaddeaus Turner. Is that Coach Braden Thayer Turner's grandson?